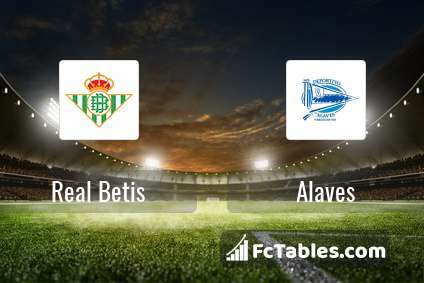 Match Real Betis-Alaves La Liga the fixture is set to kick-off today 19:45 on Estadio Benito Villamarin. Refereee Antonio Mateu. Team Real Betis is located in the middle of the table. (9 place). Real Betis in 5 last matches (league + cup) have collected6 points. Not lost the match at home from 2 games. Players Real Betis in La Liga with the highest number of goals: Sergio Canales 6 goals, Giovani Lo Celso 4 goals, Loren Moron 4 goals. Most assists in the club have: Sergio Canales 2 assists, Giovani Lo Celso 2 assists. 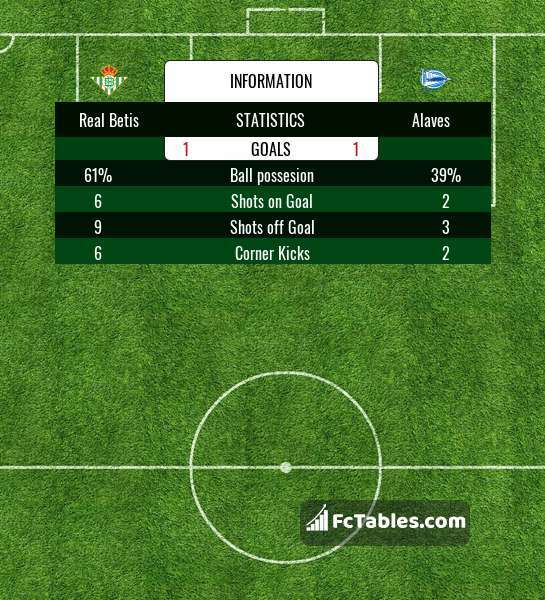 Team Alaves is located in the middle of the table. (6 place). 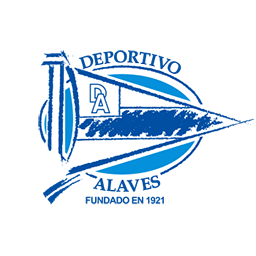 Alaves in 5 last matches (league + cup) have collected4 points. From 3 matches away can't win a match. The best players Alaves in La Liga, who scored the most goals for the club: Jony 4 goals, Jonathan Calleri 4 goals, Borja Baston 4 goals. Players with the most assists: Jony 6 assists, Jonathan Calleri 2 assists, Borja Baston 1 assists. Direct matches: Real Betis won more direct matches. 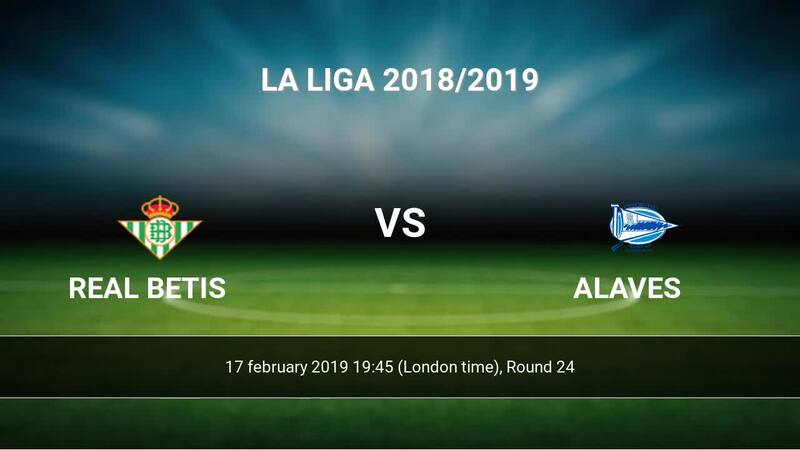 Real Betis won 7 matches , Alaves won 6 direct matches, was a 2 draws. In 6 matches the sum of the goals both teams was greater than 2.5 (Over 2.5), and 9 matches teams scored more than 1.5 goals (Over 1.5). In 5 matches the both teams scored a least one goal (Both teams to score).